Holland Park 2018 bonfire and fireworks: This evening! Hi folks – I’m getting a lot of enquiries regarding Christmas bin collection arrangements in the borough of Walsall, and since the change to rounds earlier in the year, there is only one simple answer to find out when you bins will be emptied. 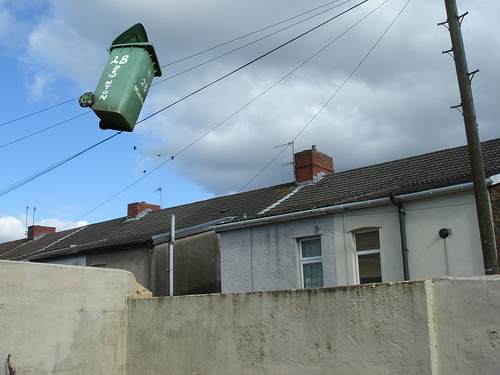 Right Walsall Borough folks, listen up – I know some of you are concerned about bin collections at the moment as the service is clearly experiencing difficulties, on the very week that Walsall refuse collection schedules have changed. Holland Park bonfire and fireworks – on tonight! 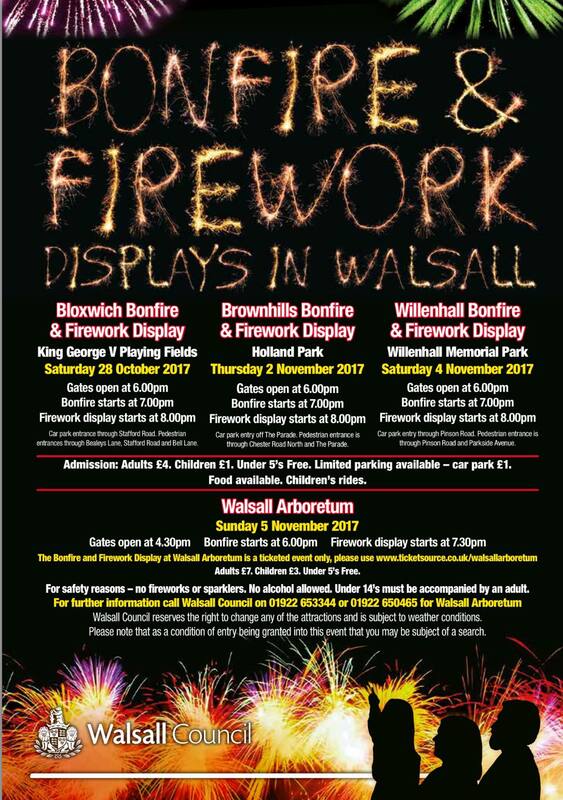 Just a quick reminder that tonight, Thursday 2nd November 2017 sees the annual Walsall Council bonfire and firework display in Holland Park , Brownhills. 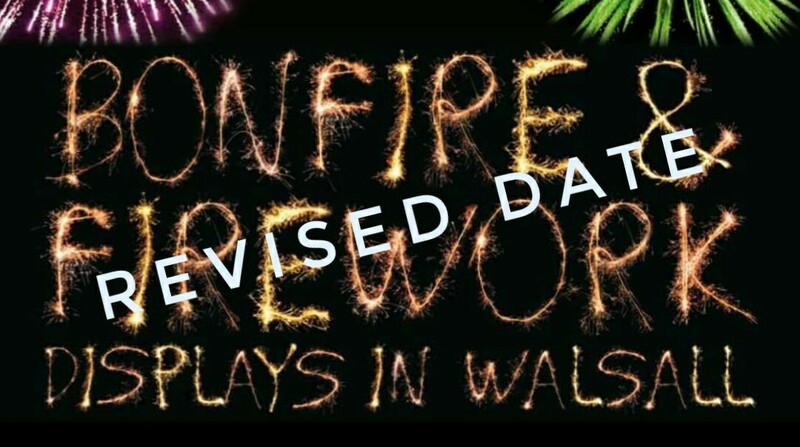 Readers have been asking for details of this year’s Walsall Council Bonfire Night events in the borough, and particularly Brownhills, so here is the latest information. Hey up people – it seems that in November, there’s a shakeup of of local bin collection days in the Northern Wastes and to this end Walsall Council have been delivering leaflets notifying residents of the changes, which is fair enough. 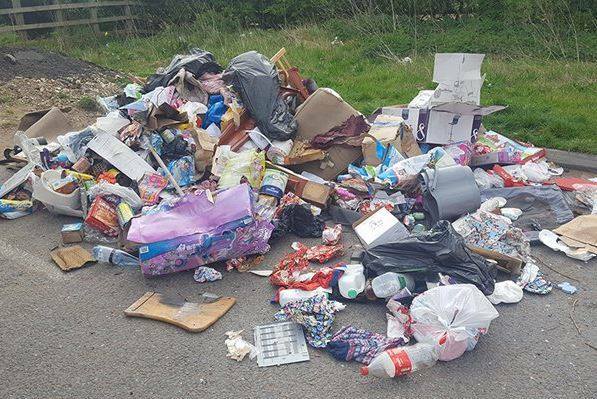 I’m sad to say that the local area is still plagued by flytipping – the above load was dumped on Friday 7th April 2017 at Barracks Lane, just over the border in Staffordshire, and reported on Facebook by the crew from the Lichfield Mercury. Hi folks – I’m getting a lot of enquiries regarding Christmas bin collection arrangements in the borough of Walsall, and thought I’d post the official guidance for those that seem concerned about when the guys in orange will come and collect their rubbish. 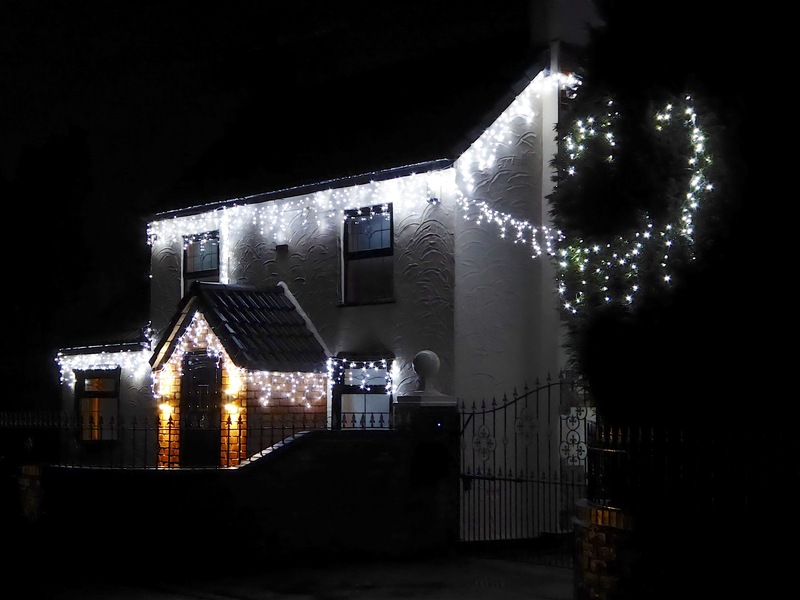 Hey you lot – Brownhills Blog readers, browsers, information seekers, contributors, friends: have a great Christmas, and I wish you a happy, prosperous and peaceful 2017. Don’t forget it’s the 2016 Brownhills bonfire this Saturday! Readers are reminded that this Saturday 12th November 2016 sees the annual Brownhills bonfire and firework display in Holland Park – a real post-bonfire night treat for all the family. 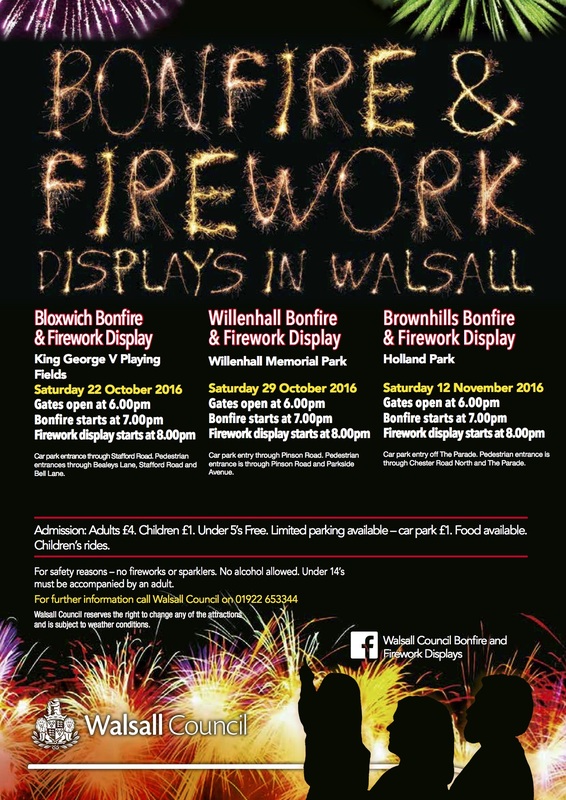 For those who’ve been asking (and some folk have been really keen to find out this year), Walsall Council have released details of 2016’s bonfire and firework events in the borough, including the one at Holland Park, Brownhills which this year takes place on Saturday, 12th November 2016. 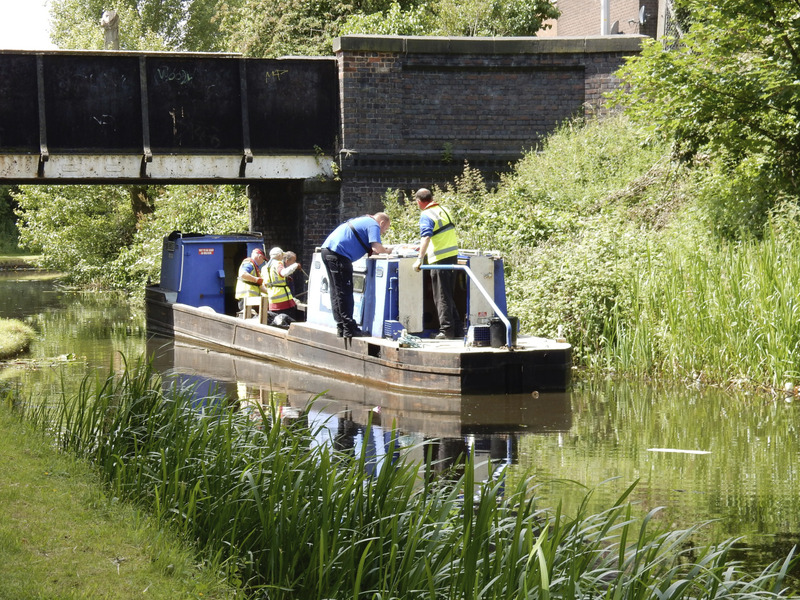 Blooming golden – Brownhills volunteers for the win! I’d like to say a big thank you on behalf of Brownhills if I may, to those people who worked so very hard on the Brownhills in Bloom competition entry this year: to all those who helped, planted and laboured, and to human dynamo Diane Mansell from Walsall Council, praise is due, for Brownhills and Aldridge both won gold awards. 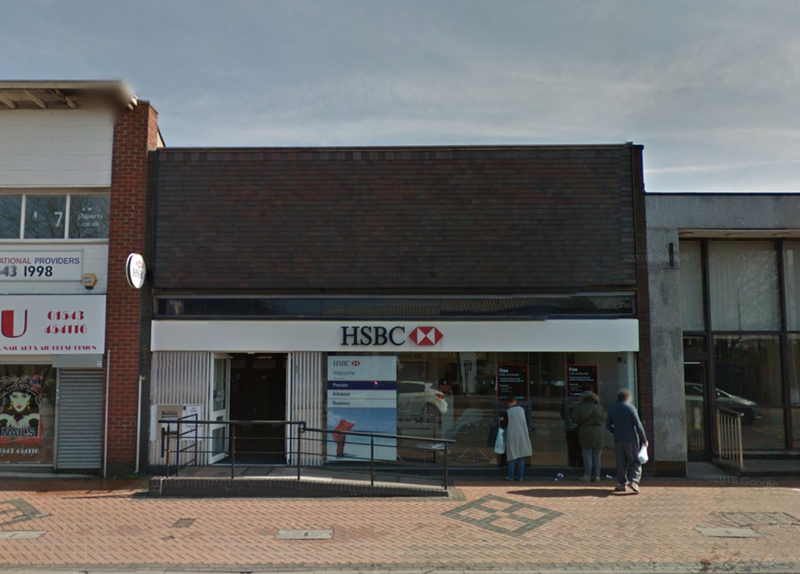 I’m sad to report that the last High Street Bank bank in Brownhills, HSBC will close for good on Friday, 25th November 2016 – this comes amidst the slump in the use of High Street branches caused by online and telephone banking, and the general woes of the bank in general – HSBC has closed over 100 branches already this year. Good luck to the Brownhills in Bloom team! I’d like to wish all the very best of luck to the hard working volunteers and community minded folk who’ve worked with Brownhills Town Centre Partnership on this year’s Brownhills in Bloom bird, which is judged this afternoon (Wednesday, 27th July 2016). 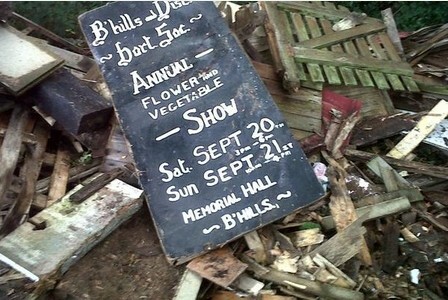 Calling all local gardeners please! Once more, Diane Mansell from Brownhills Town Centre Partnership has been in touch, and asked me to ask if I’d put out a plea for gardeners,volunteer groups or anyone else who can help the Brownhills in Bloom team remove some problematic shrubs in town. Can you help Diane make Brownhills bloom? 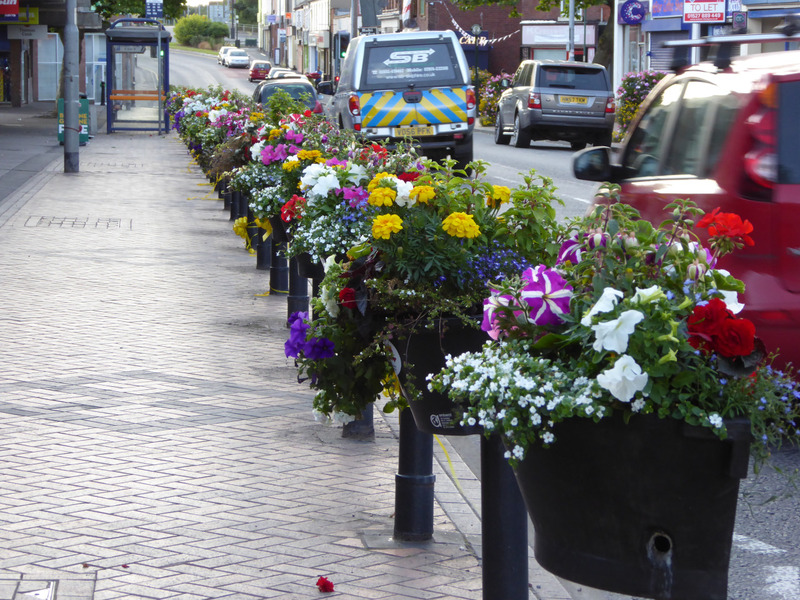 Once more, Diane Mansell from Brownhills Town Centre Partnership has been in touch, and asked me to point out that volunteers are needed for another planting event to prepare the remaining planters for the Brownhills Britain in Bloom entry this coming Monday 27th June 2016. 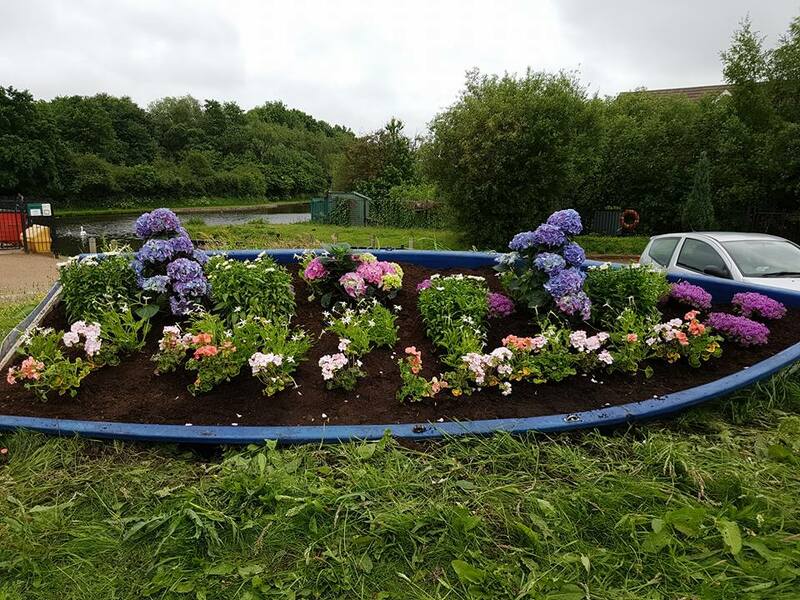 Just a shoutout here to the volunteers and community mind folk of Brownhills Town Centre Partnership who yesterday, despite some pretty horrid weather, went out planting flowers in the tubs and planters in town and once again did Brownhills proud. 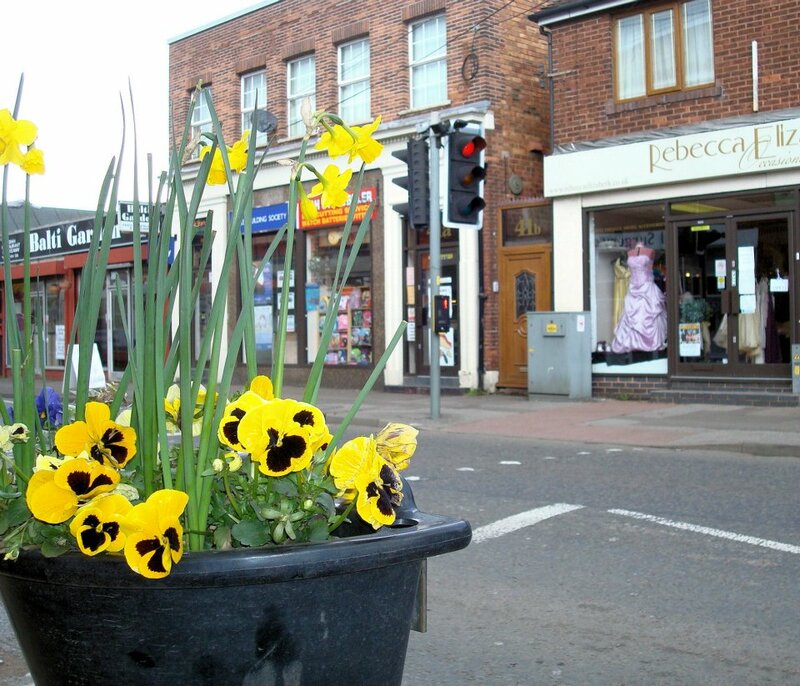 Please help the Brownhills in bloom team – today! 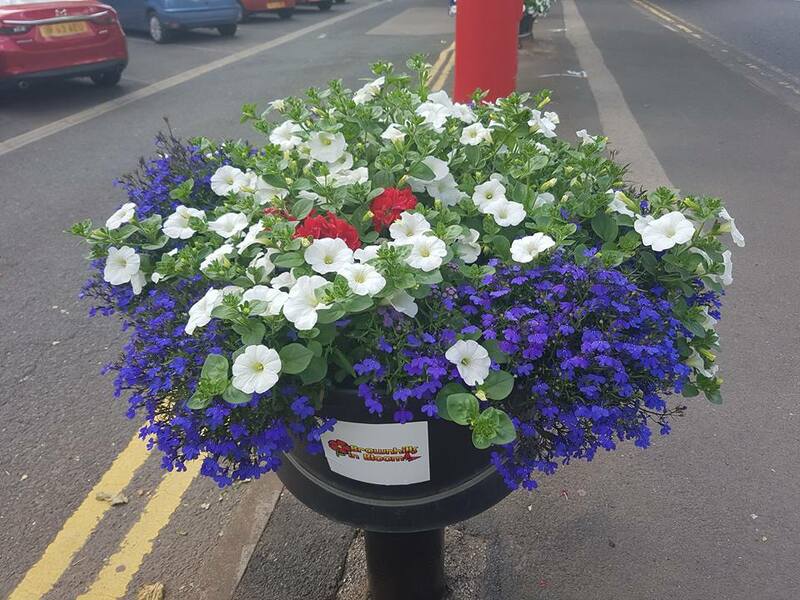 The wonderful Diane Mansell from Brownhills Town Centre Partnership has been in touch, and asked me to see if anyone fancies helping out with the Brownhills Britain in Bloom competition entry from our town today (Monday 13th June 2016). 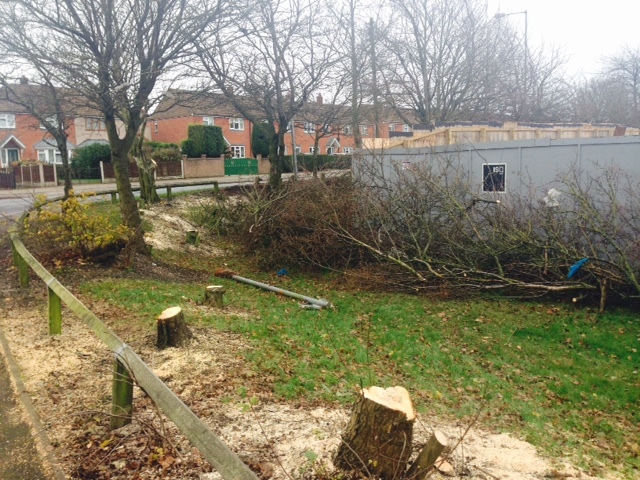 Apologies – Brownhills in bloom planting event cancelled! 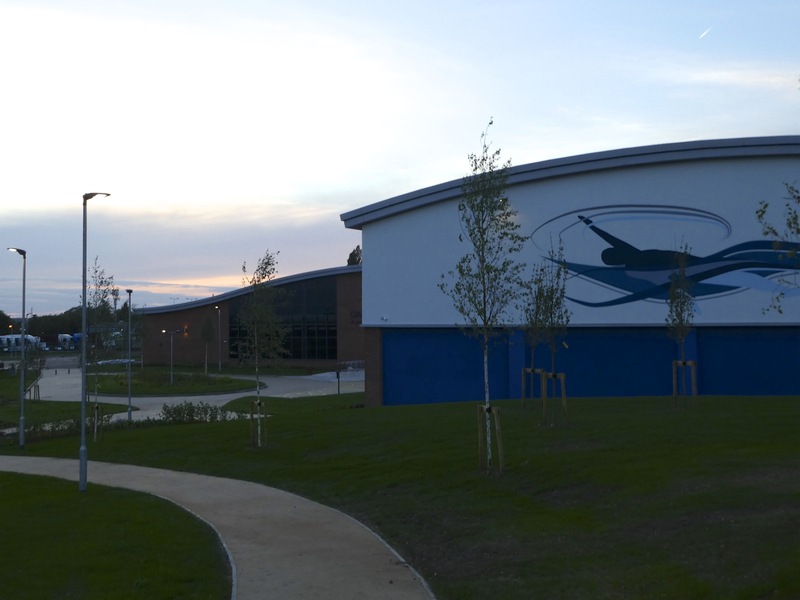 So sorry to announce this, but I’ve just been informed by the organisers that the planting event scheduled for tomorrow, 2nd June 2016 by Brownhills Town Centre Partnership has had to be deferred until Monday 13th June due to late arrival of the plants – sadly, this is affecting several towns in the borough and is unavoidable. 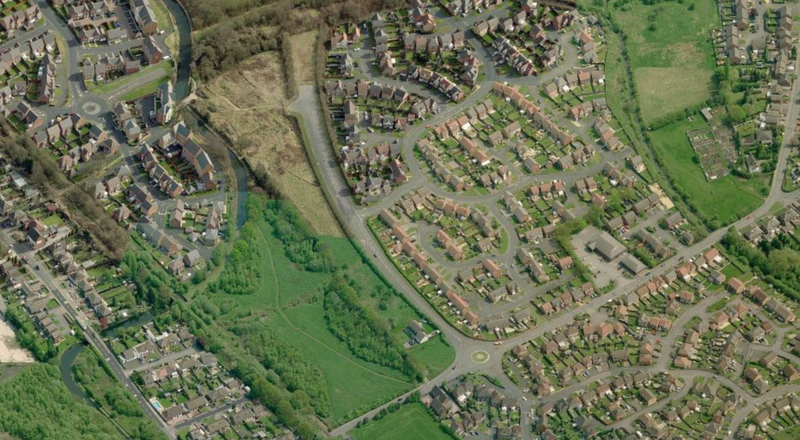 Please help Brownhills bloom – tomorrow! The wonderful Diane Mansell from Brownhills Town Centre Partnership have been in touch, and asked me to see if anyone fancies helping out with the Brownhills Britain in Bloom competition entry from our town, which involves planting, litter picking and general sprucing up. Please help Brownhills bloom this summer! 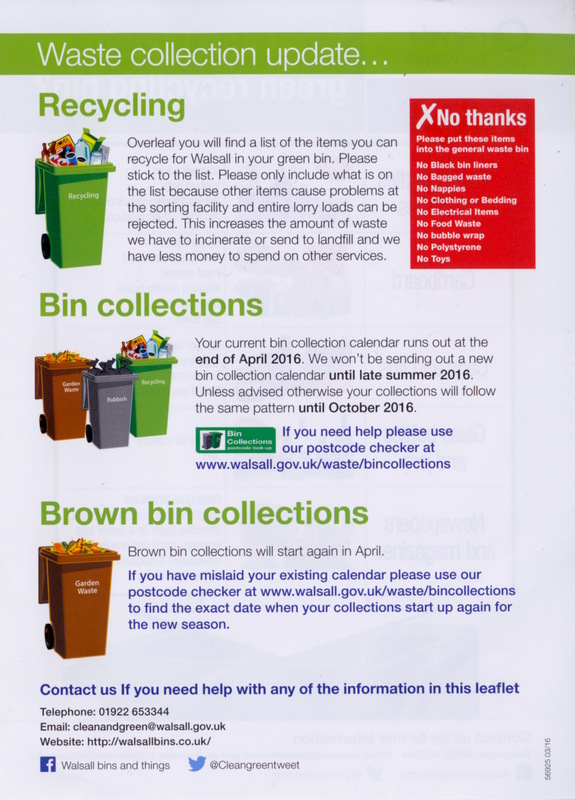 Like most of the households in the borough, we’ve received a leaflet from Walsall Council recently in place of the normal bin collection calendar/schedule we normally receive at this time of year – the leaflet says a new calendar won’t be issued until ‘Late summer, 2016’ – I wonder why that might be? 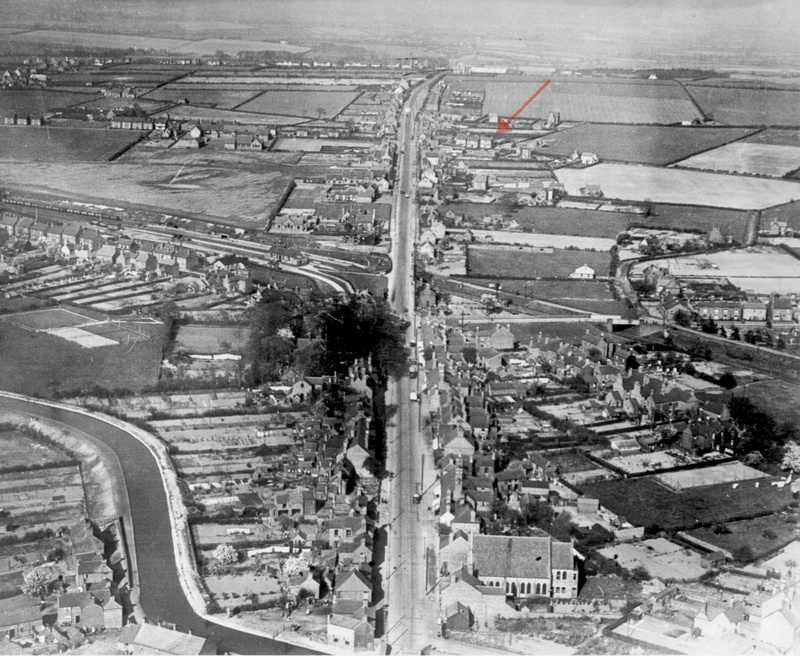 Reader John Blanchard has been in touch all the way from Aukland in New Zealand with some interesting and hopefully debate-provoking memories of subsidence effects in Walsall Wood from the 1960s onwards. 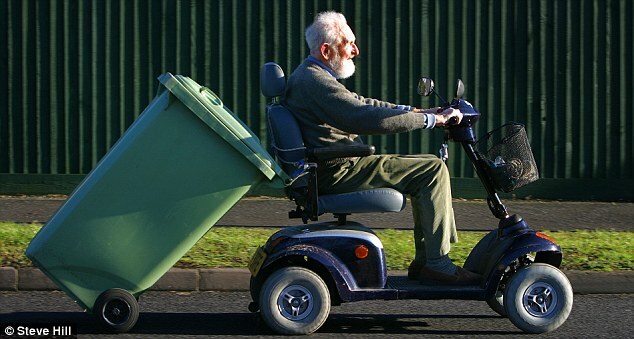 Just a heads up to all the bin botherers that there is the first brown (garden waste) bin collection of 2016 in Area 9 tomorrow (Friday, 8th February 2016) – that’s Brownhills, Pelsall, Shire Oak and Clayhanger – so get your bins out for the lads tonight. I’ve had a large number of queries today about bin collections for Good Friday and the Easter Weekend (Friday 25th March, Monday 28th March 2016) – collection services in Walsall Borough are operating normally as they doe for every Bank Holiday except the three over Christmas. 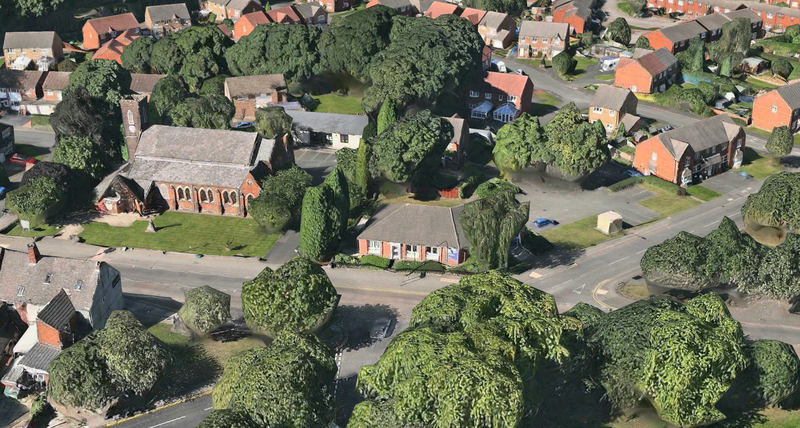 As Councillor Steve Wade is helpfully reporting, if you’re concerned about the issues surrounding traveller encampment and other ASB at Northfields Way in Clayhanger, there’s a consultation drop-in session tonight (Monday, 7th March 2016) open to all at Clayhanger Methodist Church, Clayhanger Lane, from 5:30-7:30pm. 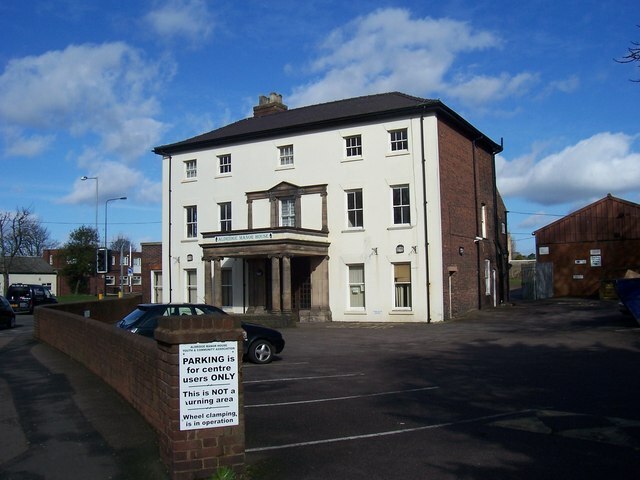 I note from the informative blog of Brownhills Councillor Steve Wade that there will be a Big Tidy Up day in Brownhills this Thursday, 3rd March 2016 organised by Walsall Council, the Town Centre and Area Partnerships. As top local activist blog Madwblog and Councillor Steve Wade are helpfully reporting, please don’t forget that if you’re concerned about the issues surrounding traveller encampment and other ASB at Northfields Way in CLayhanger, there’s a consultation drop-in session tonight (Monday, 29th February 2016) open to all at the community centre in the village. 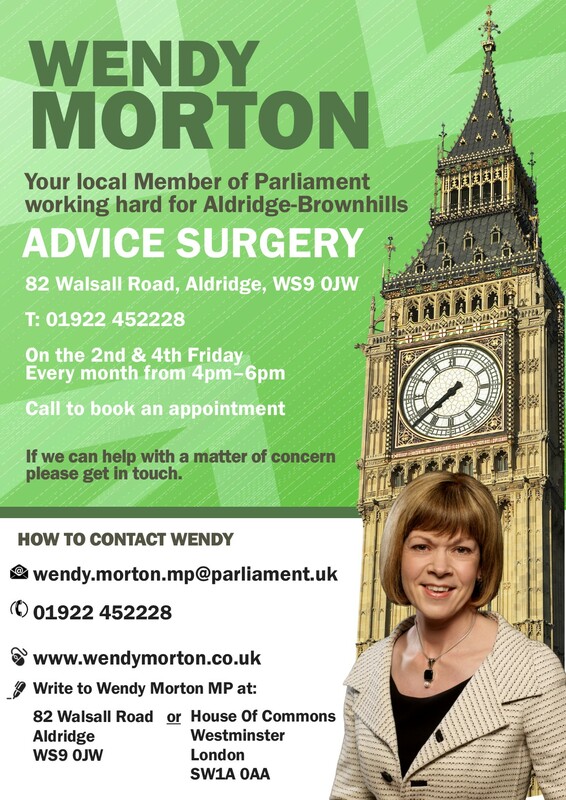 I’m pleased to note that the Member of Parliament for Aldridge Brownhills – your MP Wendy Morton – will hold a surgery at Brownhills Activity Centre, just off the Miner Island in town, from 2pm to 3pm this Friday, 29th January 2016 – she’ll also be ar Rushall later that afternoon. Just a heads up to all the bin botherers that there is a bin collection tomorrow (Friday, 8th January 2016) for areas 9 and 10 – that’s Brownhills, Pelsall, Shelfield, High Heat, Shire Oak and West Aldridge – so get your bins out for the lads tonight. 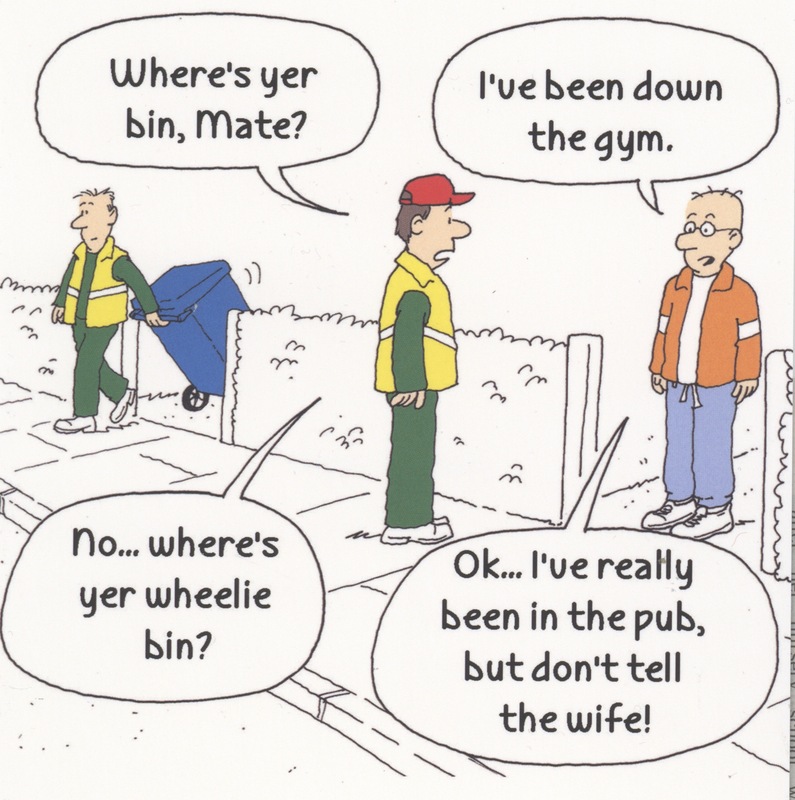 Just a heads to all the bin bothers that there is a bin collection tomorrow (Monday, 28th December 2015) for areas 9 and 10 – that’s Brownhills, Pelsall, Shelfield, High Heat, Shire Oak and West Aldridge – so get your bins out for the lads tonight. 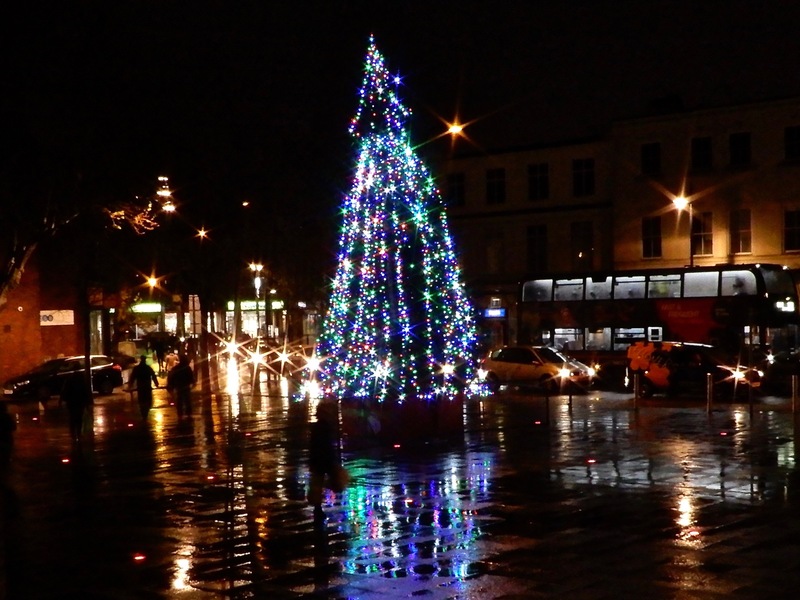 I’d like to wish all blog readers, contributors and friends a merry Christmas and a very happy, peaceful and prosperous new year – may 2016 bring all you hope for. Hi folks – I’m getting a lot of enquiries regarding Christmas bin collection arrangements in the borough of Walsall, and thought I’d feature the bin calendar for those that seem concerned about when the guys in orange will come and collect their rubbish. As many of you will know, the cuts are ongoing at Walsall Council and in the coming year the authority faces a shortfall of another £25 million, and sadly, this is really going to impact on local services we take for granted. Brownhills bonfire and fireworks this Saturday! 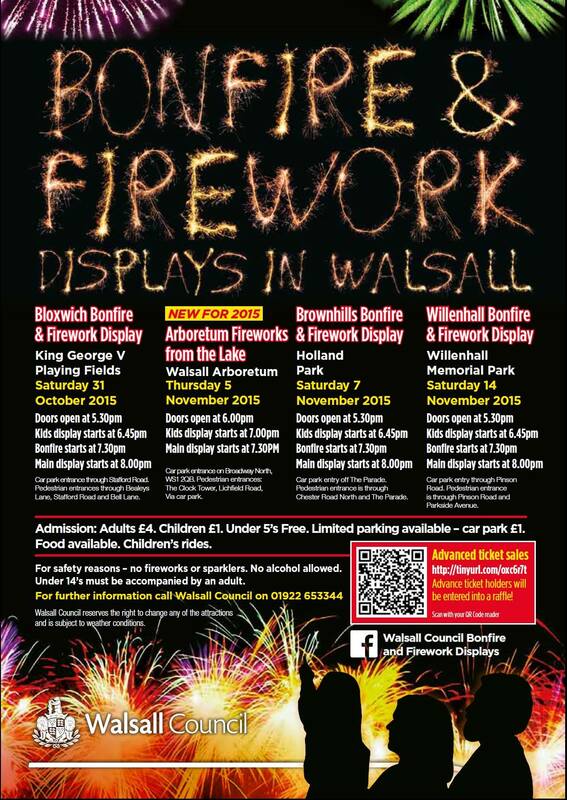 For those who’ve been asking (and some folk have been really keen to find out this year), Walsall Council have released details of 2015’s bonfire and firework events in the borough, including the one at Holland Park, Brownhills which this year takes place this Saturday, 7th November 2015, with not one, but two fireworks displays. For those who’ve been asking (and some folk have been really keen to find out this year), Walsall Council have released details of 2015s bonfire and firework events in the borough, including the one at Holland Park, Brownhills which this year takes place on Saturday, 7th November 2015, with not one, but two fireworks displays. 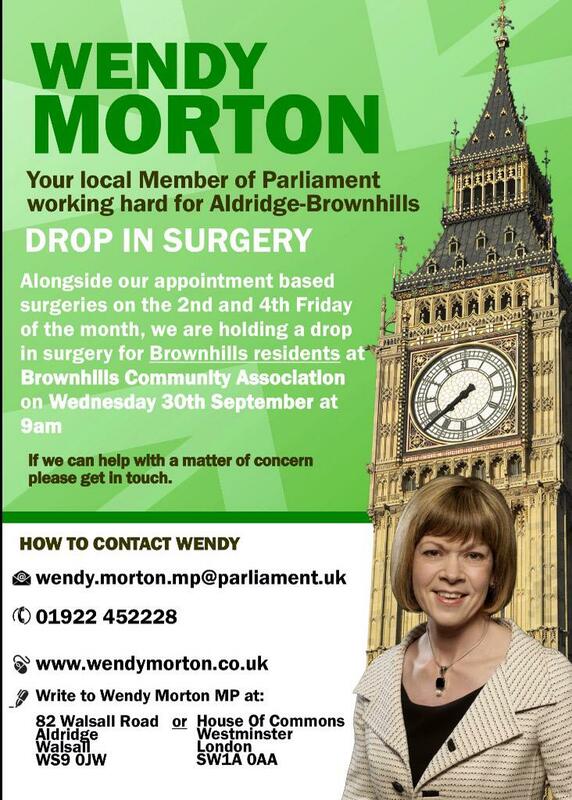 I’m pushing this one out early as I know some folk may need time to prepare: a week today, Wednesday 30th September 2015 the Member of Parliament for Aldridge Brownhills – your MP Wendy Morton – will hold a surgery at Brownhills Activity Centre, just off the Miner Island in town, from 9am. 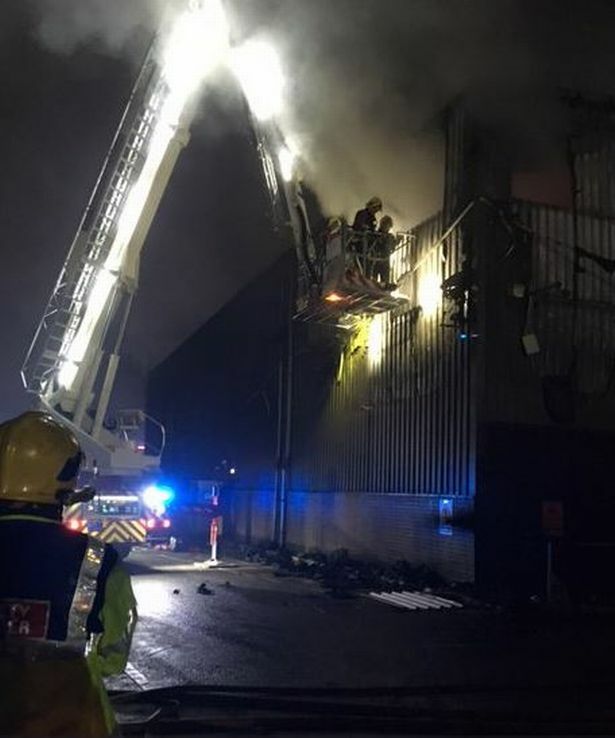 I’m sad to say hotspots in Brownhills and Aldridge – as well as across the area – are still being blighted by flytippers, often clearly working on a commercial scale – flytipping is a public menace, harms the environment, can be a danger to people and wildlife and costs a lot of money to clean up.